1. 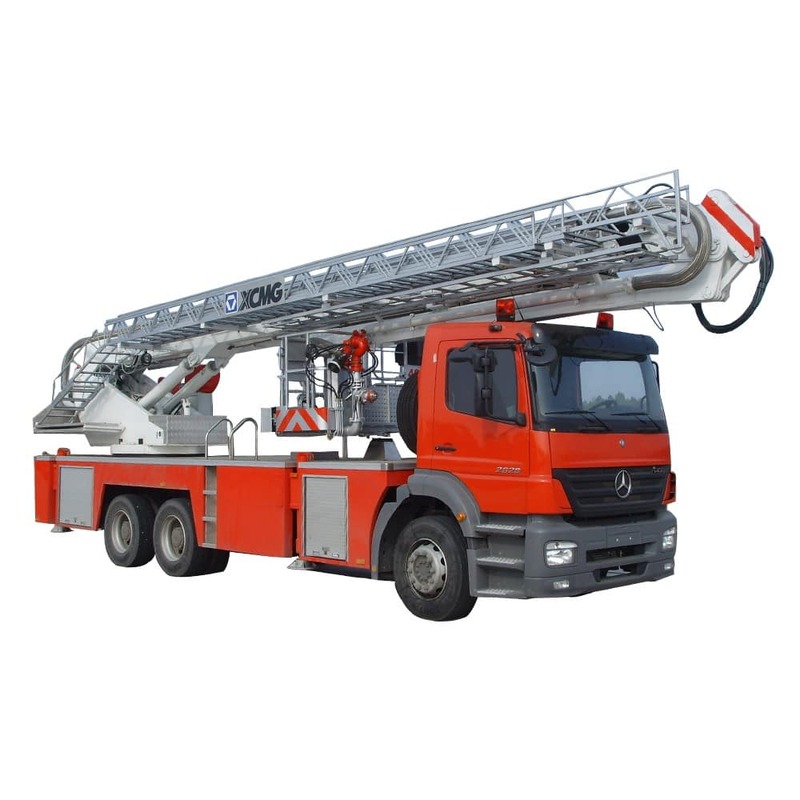 The truck has incorporated the functions of the elevating platform fire truck and high pressure spray fire truck, so it can not only perform rescue work but also extinguish the fire (the truck is integrated with a water monitor). 2. 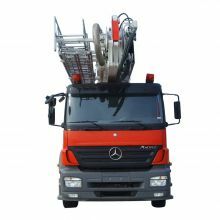 With advanced technologies applied and high quality guaranteed, the main performance parameters of this truck have reached (or exceeded) international level of the same products. 3. 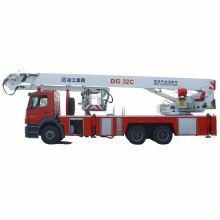 Adopted with electro-hydraulic proportional control system and is hydraulic driven, the overall vehicle works stably and reliably, convenient for operation. 4. 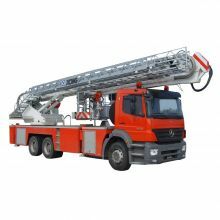 This truck has three sections of telescopic boom and one section of crank arm. 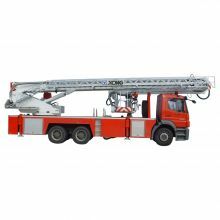 This truck has three sections of synchronous telescopic boom (telescoping mechanism is first-grade cylinder + chain transmission, enabling synchronous telescoping), telescopic boom can luffing within -3°～80° while crank arm can luffing within 0°～180°, the cross section is box type, made of high strength steel. 5. This truck has a slewing buffer function. Slewing mechanism consists of the planetary gear reducer and the constant closed-type brake. Constant displacement motor drives external-gear type single-row ball slewing bearing. A cushion valve is adopted in hydraulic system to ensure stability when being started up and being braked, so that a good jiggle characteristic is then guaranteed. 6. This truck has adopted 011.45.1250 slewing bearing produced in accordance with German HRS Company, featured in light weight, strong bearing capacity and long service life, etc.